You may not realize it, but your shipping strategy is one of the most crucial elements defining the success of your business. In today’s world, consumers expect nothing less than a stellar customer experience from purchase through to delivery. Even if you have the best product in the world, it doesn't matter if your shipping operations miss the mark. As Amazon paves the way in the e-commerce industry with their unbelievable offers and streamlined delivery service, businesses must raise their game if they want to stay competitive. 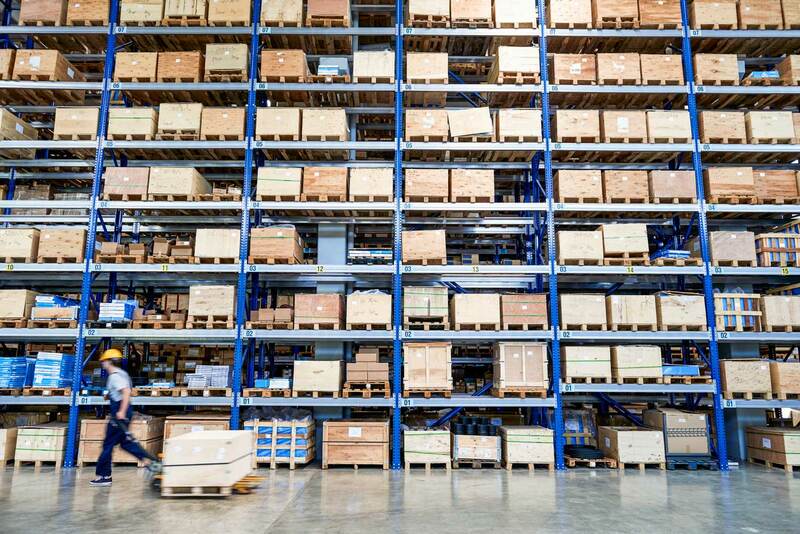 Here are five practices you can put in place to make sure you deliver an exceptional customer experience every time a package leaves your warehouse. It’s essential you keep your customers informed through every stage of the buying cycle. From emailing the order confirmation to sharing precise delivery information, tracking updates give your customers crucial peace of mind. Ideally, you’ll include a tracking number in your email notifications that allows the customer to easily follow their package. Tracking numbers help customers monitor delivery in real-time, which reinforces your transparency. Keep in mind that tracking updates are only as good as your shipping process. Don't issue the tracking number too early, while a package sits in your warehouse for an undetermined amount of time. And make sure you work with carriers you can trust to deliver packages on time and without errors. According to a Business Insider Intelligence report, 58% of online shoppers abandon their shopping carts due to unexpected shipping costs. If you want to avoid falling at the first hurdle before you even make the sale, you need to make your delivery charges both reasonable and visible. If you can, consider offering free shipping for larger or bulk purchases and building at least part of it into your purchase price where possible. Free shipping is the top motivator for 90% of consumers shopping online, according to Walker-Sands. You can keep your shipping costs down by comparing rates and selecting the right carrier. You can also use smart auto packing within Pacejet to to properly estimate the cost of your free shipping so that you can build that into your purchase price. If you are offering free shipping, rate-shopping becomes that much more important to ensure less impact on the business. As consumers, we’ve developed certain expectations for delivery. When we purchase a product, we want the process to be straightforward and fast. In fact, 80% of consumers say speed of delivery influences where they shop. Keep in mind that Amazon Prime has conditioned people that 2 day shipping is the norm. If your shipping times are longer than a week, your customers aren’t going to hang around, unless products are special order items such as custom furniture. If you can’t offer 1-2 day delivery options, it may be time to switch your carrier, or tell customers up front why delivery takes longer and how it benefits them (with services such as white glove delivery). Your returns policy is an important part of your shipping strategy. Customers need to know how long they have to return an item that’s damaged or when they simply experience buyer's remorse. By offering a flexible returns window, your customers will feel less pressured to fall in love with their purchase. After all, sometimes it takes time! You’ll also show you value your customers and understand their needs. This gives them more confidence about making a purchase in the first place--and in the future. As 30 days is the standard, consider extending returns to 60 or even 90 days depending on your business and the products you send out. Obviously if they are consumables or cannot be resold, this must be factored into the equation. Whatever you decide about your returns policy, make sure it's clear and provided upfront so that buyers know what to expect before they make an angry call to customer service. The design of your packaging says a lot about your business. The colors, branding, and practicality of your box should reflect who you and your customers are. It’s the first thing your customers see and sets the tone for their satisfaction for the products inside. While it's tempting to buy plain boxes in bulk and press go, your package design should not be an afterthought. When it's carefully considered, it can inspire both intrigue and excitement for the product your customer is about to reveal. Think about your logo placement, the colors you use, and even where you place your labels.The design should work as a whole to provide adequate protection, functionality, appeal, and excitement to tip the scales towards "wow." Pacejet transforms the shipping dock into a launching pad for profitability. This starts with a best-in-class cloud-based solution, surrounding it with the consultative support that enables customers to thrive in the 21st century shipping economy. Contact us today. Visit http://pacejet.com, call 877-722-3538, or email info@pacejet.com. Would a branded tracking page make a difference for your business? Are there other features you've been looking for and can't find through other shipping solutions? Contact us and let us know what you are searching for and we'll provide a consultation tailored to your needs.